Escalation of US Military Involvement in Ukraine. Vietnam 2.0 in the Making? How involved is the US national security machinery in Ukraine? The answer to that question is contained in a sampling of information available from the US embassy in Ukraine and the Pentagon’s contract awards announcements. Other publications (links provided below) have also been consulted. Vietnam 2.0 is in the making in Ukraine. The US civil-military establishment, Republicans and Democrats alike, want a shooting war with Russia, even though it was the US that caused the carnage in Ukraine, not the Russians. Yet, that inconvenient reality has been nullified by the US propaganda campaign which, of course, the Russians have responded to with their own. It’s becoming apparent that the US Army, US Air Force and US Navy want, respectively, the 21st Century versions of the Battle of Prokhorovka, Hiroshima/Nagasaki, and the Battle of Midway. Maybe the plan is to make proxy wars so hot that world war will follow with Russia (and China). It’s doubtful that the US Marines want another Iwo Jima or that US special operations warfighters want to be dropped into no-win situations (they are smarter than that). So California is Ukraine’s buddy? Just great. Joint Contact Team Program-Ukraine (JCTP). The mission of the Joint Contact Team Program (JCTP) is to deploy US military teams to Ukraine to acquaint the Ukrainian military with various aspects of western militaries. The program was developed in 1992 to assist the armed forces of Ukraine, as the military of one of the emerging democracies of Central and Eastern Europe. International Military Education and Training (IMET): The IMET Program provides training in the United States to selected foreign military and related civilian personnel. The overarching security cooperation objective is to promote stability, democratization, military professionalism, and closer relationships with NATO. Foreign Military Sales/Foreign Military Financing: The FMF program assists the Ukrainian military in conducting defense reform by providing funds for Ukraine to purchase US military equipment and services. September 2015: Aerovironment Inc., Monrovia, California, was awarded a $9,049,306 firm-fixed-price foreign military sales contract (Ukraine) for the small UAV RQ-11B Raven analogy system. Work will be performed in Monrovia, California, with an estimated completion date of May 11, 2016. One bid was solicited with one received. Fiscal 2010 other procurement funds in the amount of $9,049,306 were obligated at the time of the award. Army Contracting Command, Natick, Massachusetts, is the contracting activity (W911QY-15-C-0102). September 2015: Harris Corp., Rochester, New York, was awarded a $65,669,054 firm-fixed-price, incrementally funded foreign military sales contract (Ukraine, Lithuania, Lebanon, Chad, Niger, Mauritania, Kenya, Somalia, Uganda, Ethiopia) with options for Harris Radio Systems, (multiband (AN/PRC-152A: AN/PRC-117G), high frequency (HF) and dismount), antennas, BMS software, data terminals, touch tablets, field service representatives, and training for installation, operation and maintenance. Work will be performed in Rochester, New York, with an estimated completion date of Sept. 30, 2016. One bid was solicited with one received. Fiscal 2015 operations and maintenance funds in the amount of $38,950,534 were obligated at the time of the award. Army Contracting Command, Aberdeen, Maryland, is the contracting activity (W91CRB-15-C-5029). July 2015: AM General, South Bend, Indiana was awarded a $372,936,476 firm-fixed-price multi-year foreign military sales contract (Afghanistan, Iraq, Kenya, Lebanon, Ukraine, Tunisia) with options for 2,082 High Mobility Multipurpose Wheeled Vehicles (HMMWVs) and contractor unique spare parts. Work will be performed in Mishawaka, Indiana with an estimated completion date of April 29, 2016. Bids were solicited via the internet with one received. Fiscal 2015 other procurement funds in the amount of $372,936,476 were obligated at the time of the award. Army Contracting Command is the contracting activity (W56HZV-15-C-0155). 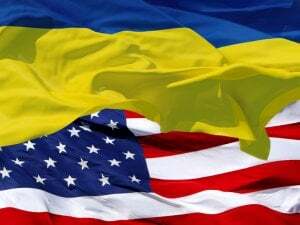 July 2015 (from Defense Industry Daily): Ukraine will receive external link an additional $500 million from the US government to finance the training of Ukrainian military personnel. The Obama administration modestly increased US training to include Defense Ministry forces in June external link, after US personnel were first deployed to train Interior Ministry troops in April. The announcement comes several days after a report external link published by the Center for New American Security identified several strategic deficiencies with US policy on defense assistance. The Baltic states of Estonia, Latvia and Lithuania are discussing external link the possibility of collaborative defense procurement. The NATO states border an increasingly belligerent Russia and may also seek to join the development activities of the Nordic Defence Cooperation’s external link (NORDEFCO) Military Cooperation Areas in a bid to maximize rising defense investment. Estonia already meets NATO’s target defense spend of 2% GDP, with Latvia and Lithuania planning to meet this target by 2020. Lower per-unit costs through larger equipment buys are likely to drive joint investment, with air defense systems specifically mentioned. The US and Poland have been keen to develop the Baltics’ air defense systems, with Sweden also planning a revamp of its capabilities.